Johann Pachelbel (1653-1706) was renowned in his lifetime for many compositions, especially serenades and sonatas, but—unfortunately—very little of his work survives to this day. This Canon in D, one of the pieces we still have, has become pretty much instantly recognizable for several reasons, not the least of which was its use in the movie Ordinary People. But what many "ordinary people" among us may not realize is that this Canon is only one part of a two-movement piece, Canon and Gigue in D major, of which only one manuscript copy still exists. 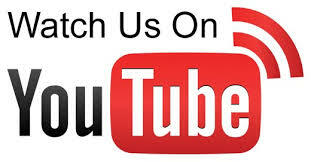 The original of the Canon and Gigue was scored for three violins, with a bass accompaniment; today, however, you'll often hear it played on a church organ, as the melody is extremely popular for weddings. Some historians speculate that this piece was, in fact, written for a wedding, that of Johann Christoph Bach (Johann Sebastian's oldest brother) in October 1694. Pachelbel, as a former teacher of Johann Christoph, was an invited guest to that wedding and might well have written a piece of music as a gift to his former student. But what is a canon? Well, it's got nothing to do with guns! 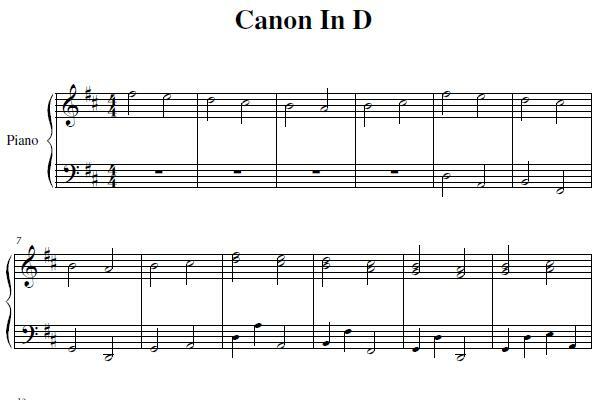 Like all canons, Canon in D is a composition that includes imitation and repetition of the same material by different voices or instruments, a given number of "beats" apart. The harmonic progression of the piece is both defined and controlled by where the voices—each on its own section of melody—come together on chords. Do you know how to sing rounds such as "Row, Row, Row Your Boat"? If so, you've actually performed a type of canon yourself! When you perform this piano version of the Canon in D, be especially mindful of the melody as it works its way through the piece, as it shows up in first one hand and then the other, and how it forms chords that move the piece's harmonic progression along. Maybe someday, you, too, will play it at a wedding or for a formal procession!